For nearly two decades, Jim Payne has been making long-distance kayak voyages on waterways around the world. Calling himself a “social kayaker,” Payne engages with the people and history of the places he visits. His first book, One Inch above the Water (2008) recounts eight voyages on major U.S. waterways, Discovering England (2011), his second book, details his trip down the River Thames, and Worlds to Discover (2015), his third book, describes four more humorous, life-affirming kayak adventures. 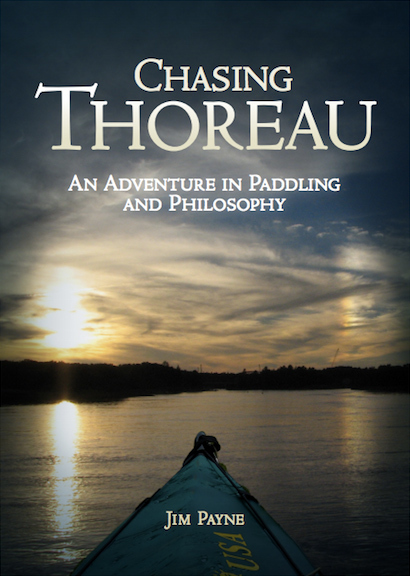 Now, with the publication of Chasing Thoreau, Professor Payne gives fans a new genre of travel adventure that blends historic and present-day voyages, resulting in an engaging tale of culture, history, philosophy, and exploration. As with all kayak journeys, Payne shares the challenges of the voyage, from confronting a British Redcoat soldier at Concord Bridge, to fighting his way up rapids on the Merrimack River, to the explorations and discoveries of retracing Thoreau's rowboat trip. His stories of impressive survival instincts - and luck, as Payne admits - go far beyond the water and extend into the communities and cultures he meets along the way. Founded in 1975, Lytton Publishing Company has been providing political and social science commentary and adventure travel books for 40 years. Visit Lytton Publishing online for more unique books by Professor Payne.